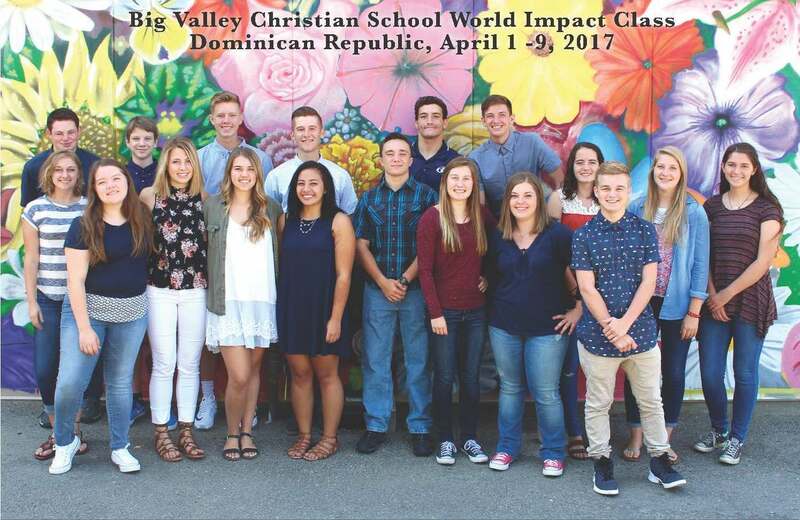 At Big Valley Christian School, we are committed to incorporating discipleship into every aspect of our school. Discipleship, or the process of learning about the teachings of Jesus, internalizing them and then acting upon them, is critical to our mission of preparing and nurturing our students to impact the world for Christ. We believe that we can disciple our students in unique ways in the classroom, on the athletic field, during a drama performance, while learning an instrument, in the community and throughout the world. Our teachers, coaches, and staff model for students the importance of knowing God’s word, obeying it, and thus growing in our relationship with Jesus Christ. As our students develop this strong foundation they begin to pass the message of the gospel to others and truly impact the world for Christ.